Hineinu: We are here, together! Hineinu is a commitment to making a difference, to being part of a community that not only nurtures the individual soul, but also awakens in us a sense of connectedness to and responsibility for one another. CBI is our home and our community. But it is only a community if WE are willing to say, “Hineinu, we are here!” and act to make it so. Hineinu is how we will come together to foster and nourish our community, by expanding our efforts to engage in acts of bikkur cholim, taking care of the sick, cooking meals for one another in times of need, becoming ambassadors of the congregation, welcoming the stranger. By creating opportunities to connect with one another for support, we will build relationships and strengthen our Jewish identity. 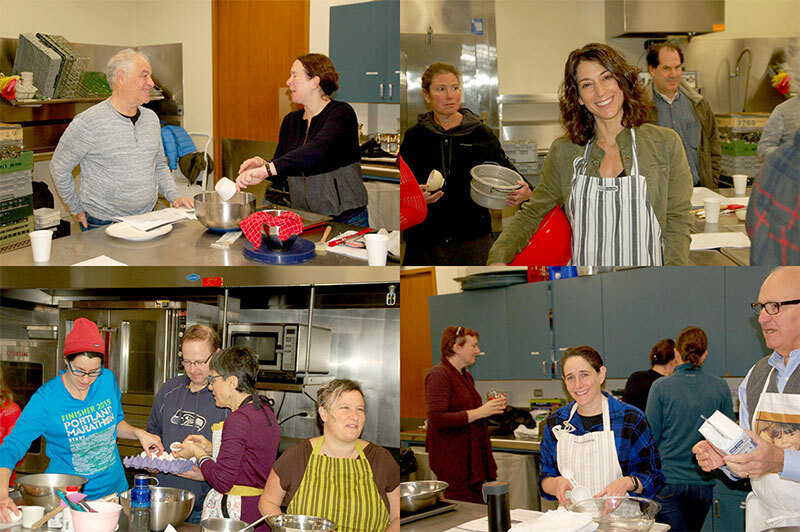 Neighborhood Circles – Neighborhood Circles organize community events – potlucks, hikes, ice-cream socials, Havdalahs – so you can connect with CBI members who live near you. And if a need arises for a CBI member in your neighborhood, an email is sent from the CBI office with a request for help. Help if you can, but if you can’t, perhaps someone else can… and there’s always a next time. Shiva and Bereavement Committee – This group is forming to help congregants who’ve suffered a loss by making shiva arrangements, and providing meals and support. For more information, please contact CaringCommunity@bethisrael-pdx.org.